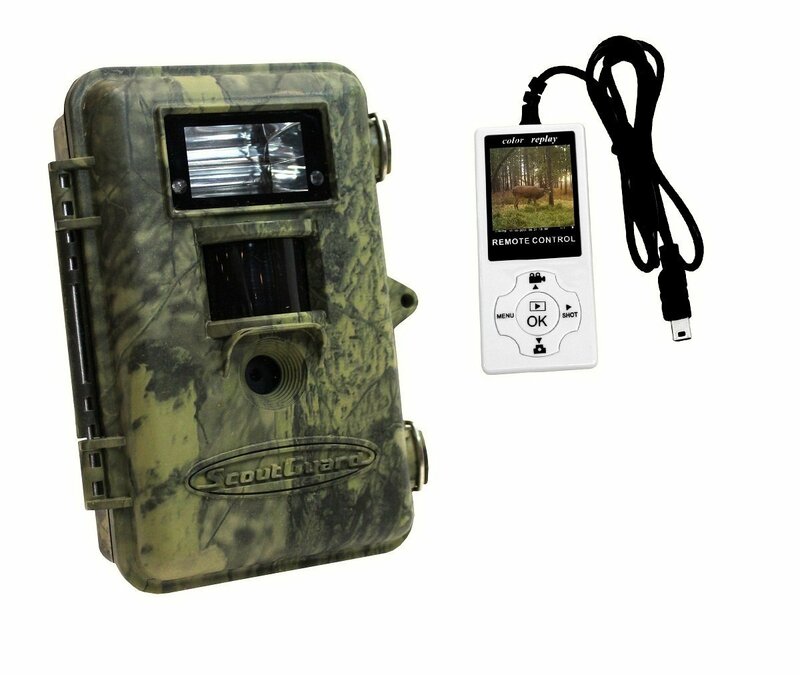 ScoutGuard made a big impression on the trail camera industry back in 2008 when they released the SG550. The camera brought innovations such as a more compact size and superior battery life, all things that are now expected from a trail camera. Since the ScoutGuard 85-Feet Long Range SG565F-8M eschews the usual IR LED illumination in favor of a white flash I was curious to see how useful it actually is out in the field. 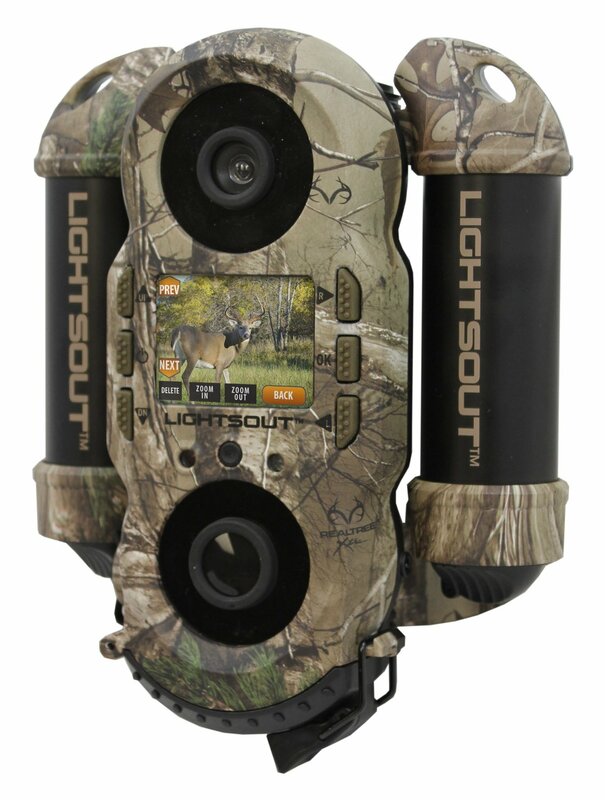 ScoutGuard claims that the integrated xenon flash allows for the SG565F-8M to be used as an ordinary digital camera as well, but I can’t image that this is something that would be very high on the list of priorities for hunters. However, take a look at what I discovered when I took this camera for a test run. The SG565F-8M features a nice compact design and is pretty lightweight to boot. It blends in well thanks to the cammo pattern of the case, but thanks to the xenon flash this is not a camera that you will be able to hide very effectively. It is designed for outdoor use and according to ScoutGuard will continue to function properly even in rain or snow. While I didn’t have a chance to test the latter, I did have the camera up during a bit of rain and it didn’t appear to be any worse off afterwards. The compact design is really nice as it can be carried around comfortably, but you will look a bit goofy if you use it as a digital camera like ScoutGuard claims is possible. The flash, indicator LED, PIR and lens of the SG565F-8M is visible through the front of the mounting. It operates using four AA batteries and conveniently features two battery slots. ScoutGuard recommends the use of high performance and high density alkaline batteries, but you can also use rechargeable NiMH or alkaline batteries. With alkaline batteries you can squeeze about 3000 flash pictures out of this camera while Lithium’s can deliver up to 6000. Accessing the battery compartment is a bit of a hassle as it is located on the back of the camera. To make matters worse the SD Card slot is also tucked away on the back of the unit along with the USB connector, TV out connector and external DC power connector. Getting to all of these while the camera is strapped to a tree requires some doing, but all things considered it is a minor complaint. Interestingly enough, programming the SG565F-8M is done via the included remote control which connects to the USB port on the camera. This is a rather neat feature, but can be problematic if you lose the remote. The case has a hole to fit a security lock through, but it is quite small so I have concerns about how secure it is. The standout feature of the SG565F-8M is without a doubt its xenon flash. Depending on what your needs are for the camera the flash will be the factor that decides whether it will work for you or not. On the plus side, the camera has a resolution of 8 Megapixels, which in conjunction with the xenon flash delivers high quality photos in full color. 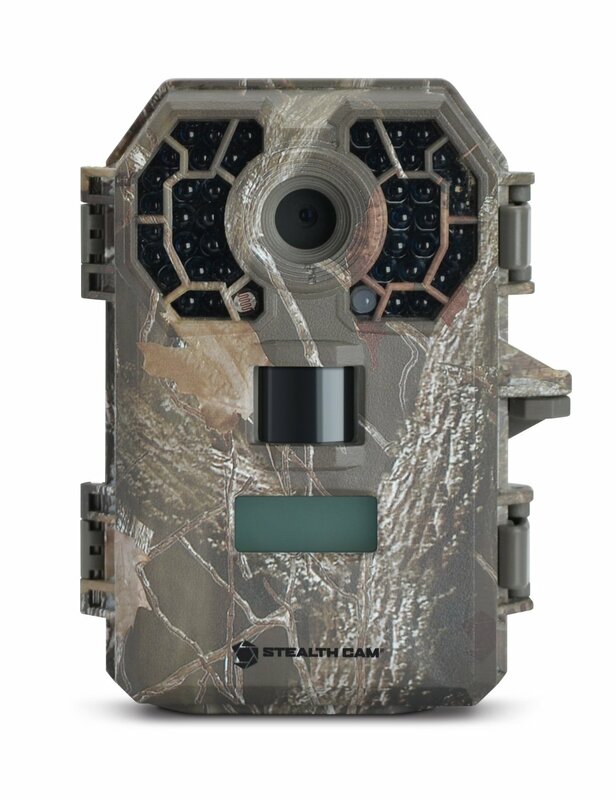 With ordinary trail cameras you are limited to black and white photos for nighttime, but the SG565F-8M is able to produce full color photos at night as well thanks to the powerful xenon flash. Since animals are more likely to forage at night it means that you can get some great photos, in full color, with the SG565F-8M which is not always possible with trail cameras. However, the xenon flash is HIGHLY visible and if the purpose of the camera is to take photos at night in an unnoticeable manner the SG565F-8M is not the camera for the job. Judging by the photos I was able to take the animals definitely notice the flash, but none of them appear to be spooked by it. 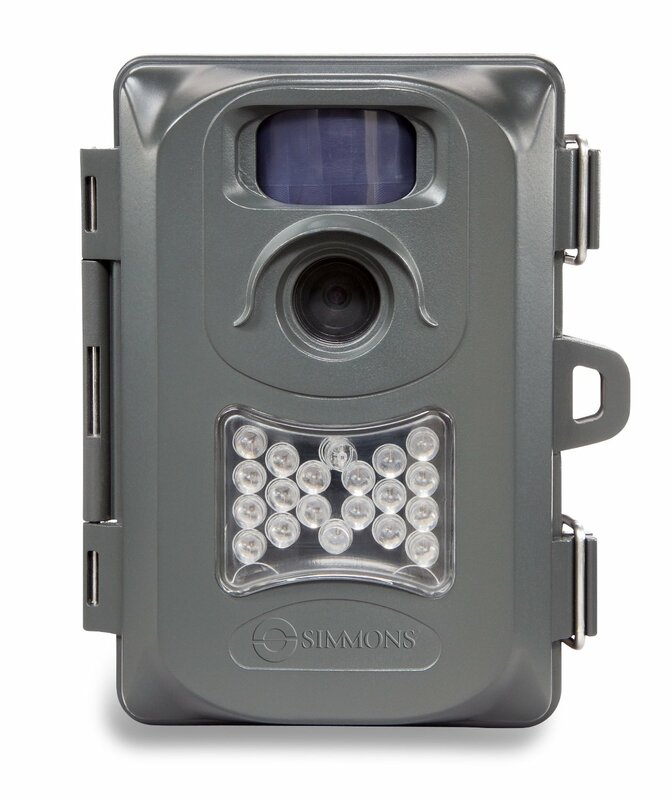 The SG565F-8M features a 85 foot detection range while the flash has a range of about 73 feet. It can record video in QVGA (320×240) and VGA (640×480) modes which is acceptable, but not exactly that impressive. I really like the photo quality of the SG565F-8M and once you have seen the kind of color nighttime photos it can take it is hard to go back to cameras that can only produce black & white nighttime photos. However, it is not suitable for people who prefer their cameras to be a little less noticeable, so check out the pros and cons below. Can record video in QVGA and VGA model. If you need a camera for surveillance purposes then you can safely ignore the SG565F-8M. It takes great pictures, but the flash is a dead giveaway. If on the other hand you want great photos of whatever wildlife is in the area and don’t want your shots in blurry black & white then you will appreciate the xenon flash that the SG565F-8M packs. It is a little tricky to set up and the poorly written instructions don’t help matters either. The wired remote controller that is used to program the camera is a pretty unique addition, but personally I try to carry as little unnecessary equipment as possible with me into the wild and it is just too easy to lose or misplace if you are not careful. Overall though this is a solid, affordable camera that does exactly what it advertises. Point Optics is a participant in the Amazon Services LLC Associates Program, an affiliate advertising program designed to provide a means for sites to earn advertising fees by advertising and linking to products on amazon.com.